Winter Walk Day is tomorrow! This cold snap won't keep us from getting up and getting active, but it might keep us indoors. In the interests of keeping all WWD participants safe & warm, we encourage you to find alternative ways to walk tomorrow. Take the stairs, hit the halls with your class for a quick walking break, etc. If you are venturing outdoors at all tomorrow, please dress for the weather, limiting exposed skin and layering up! 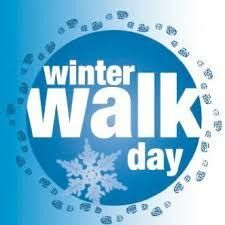 We will also continue to accept registrations for Winter Walk Day until February 15 for those schools, communities, and individuals that need to modify their walk day due to the extreme weather. Lastly, follow @Shape_Alberta on Twitter for updates and to keep in touch and track activities online with #WinterWalkDay!